Even if you're not the best or the brightest, you can still enjoy the best of the college experience—having a drink in a college bar. And what makes a great college bar? Ha, trick question! The best college bar is the bar that's closest to your (current or former) college, with the cheapest drinks, that all your friends go to. We've compiled a thorough list representing every region in the country and every type of establishment that serves suds and cocktails: fratty sports bars, nerdy popcorn-and-boardgame havens, and the finest places to have all the puke-out-your-nose fun you can handle. And, yes, we crowned the Best College Bar in the land...but let's pace ourselves here, folks. 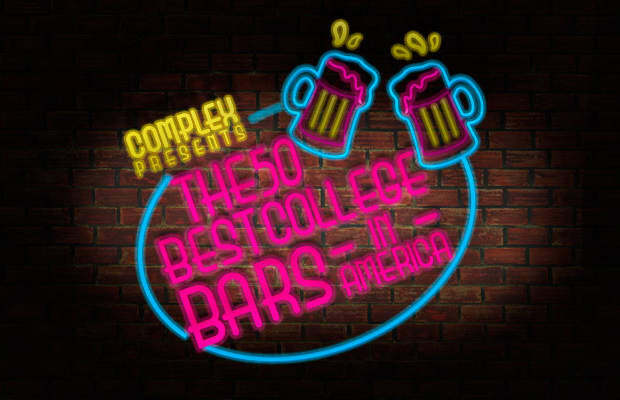 These are the 50 Best College Bars in America. Binge responsibly.